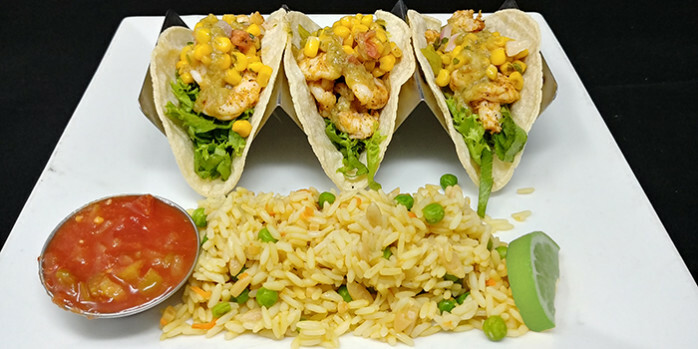 SHRIMP & AVOCADO TACOS | An award winning restaurant and venue of sporting events and live music. Sauteed shrimp, corn salsa, avocado spread, lettuce, and our tequila avocado vinaigrette. Served with a side of rice pilaf.